Today we had the grand opening of our new adventure playground. Members of the PSA, School Council and the Turbary Trust helped cut the ribbon on a blustery morning. Last year our wonderful PSA worked hard to raise £10,000 to fund the work. 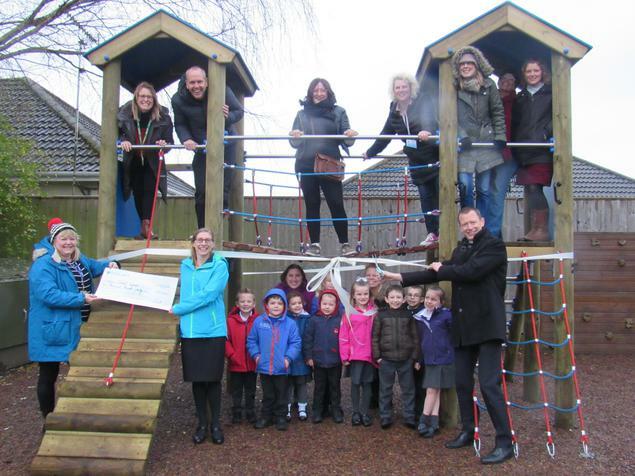 £5000 was kindly donated by the Turbary Trust, £2000 by Tesco's Bags of Help and £3000 from Upton Infant School PSA. Thank you to everyone who worked hard for this - the children love it!